JanRain provides a free version of their industry-leading OpenID solution. 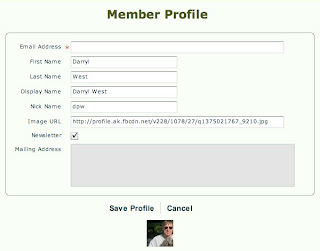 RPX Basic enables websites to accelerate user registration and login success by allowing visitors to easily sign in with one of their existing third party accounts from AOL, Facebook, Google, MySpace, Yahoo! and more. The user simply clicks the preferred provider, and the appropriate API call is made to RPX to open a new window. For example, if the user clicks the facebook icon, the following page is displayed. 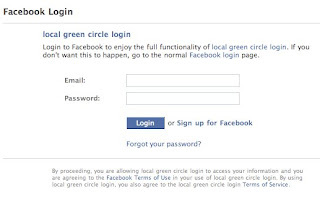 If the users successfully logs into facebook, a token is returned to the Flex application. The next step is to use this token to access the user's profile, email, photo, etc. Here's what the user see's after they log in. The same thing happens if the user logs in with any of the other providers. 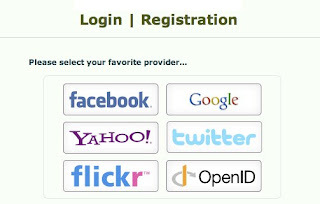 Subsequent logins don't require the approval, but simply log in without the intermediate page. So, if I'm already logged into facebook and have approved access from my Flex application, the click skips the facebook login and returns the token. Simple. The Code: The code adheres to the MVC paradigm and is short and sweet. A single controller talks to the RPX API and a login dialog mxml handles the display and clicks. The controller publishes two events loginComplete and accessFailed. The dialog processes the provider click through the controller while listening for the response event. Configuration: When you sign up with JanRain for RPX Basic, there are a few configurations that need to be made to get facebook and other third party authorization platforms to work. The process is simple and only takes a few minutes. Testing was easy for all six of the providers that our application uses. And, there are more coming on line all the time. It's a great example of distributed processing that eliminates user resistance to signing up for your latest social network application.